With rubber bushings. Quantity of needles: 570; Diameter: 61 mm (2.402 in); Width: 111 mm (4.37 in); Step: 5,0 mm (0.197 in). 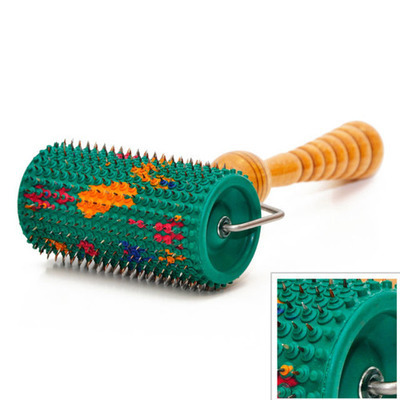 This massage roller has the biggest step as well as the largest work surface, which enables to work on large parts of the body quickly. It is recommended for patients with big body-built and weight.